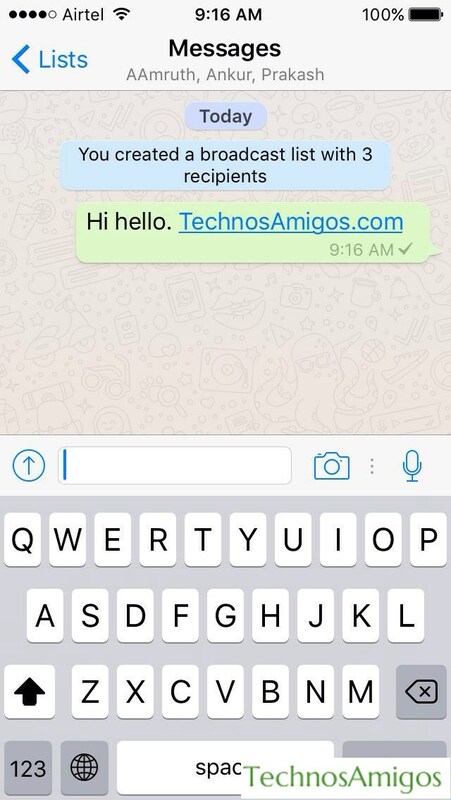 Messaging the multiple contacts in the WhatsApp from your iPhone or iPad is so simple. 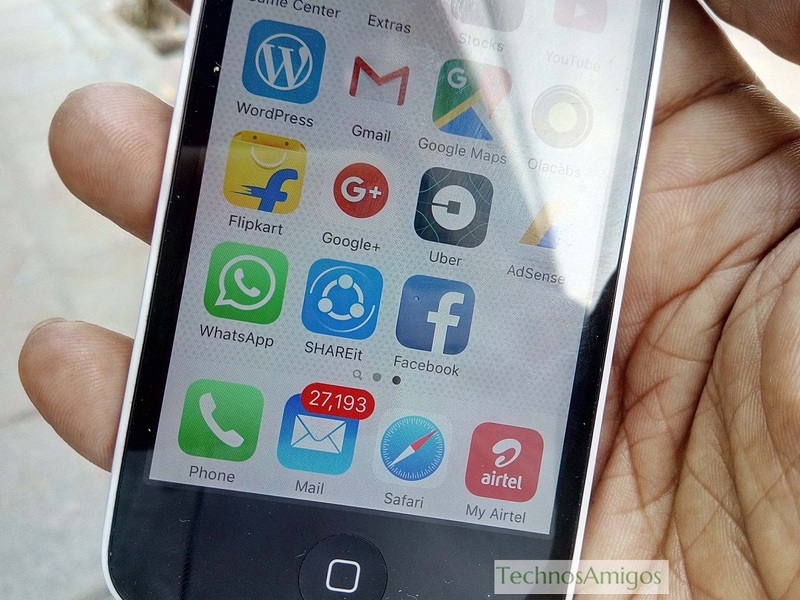 New WhatsApp users don’t have an idea of sending multiple contacts, multiple messages, broadcast images, audio, videos, pictures, etc. with many friends at a time. 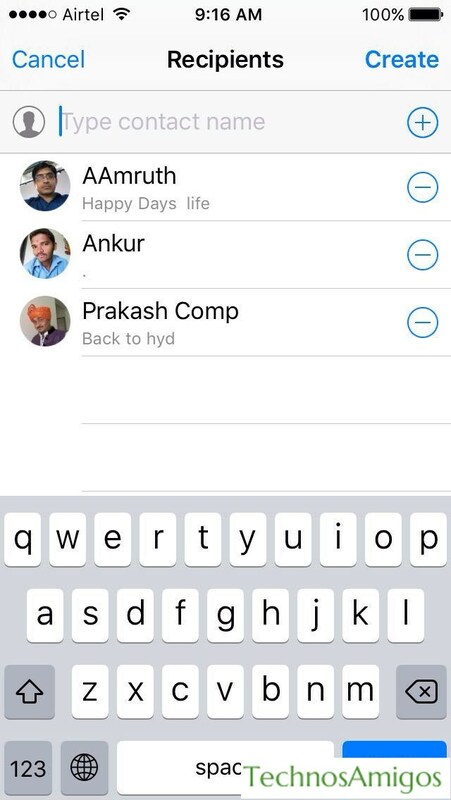 You cannot select each saved contacts in the iPhone for multiple messaging, but it is not taking on the group because there is an option show all so group message will send in the other group. Broadcast message is a way to share your conversation with all other friends at a time or you can also use to send message in future. 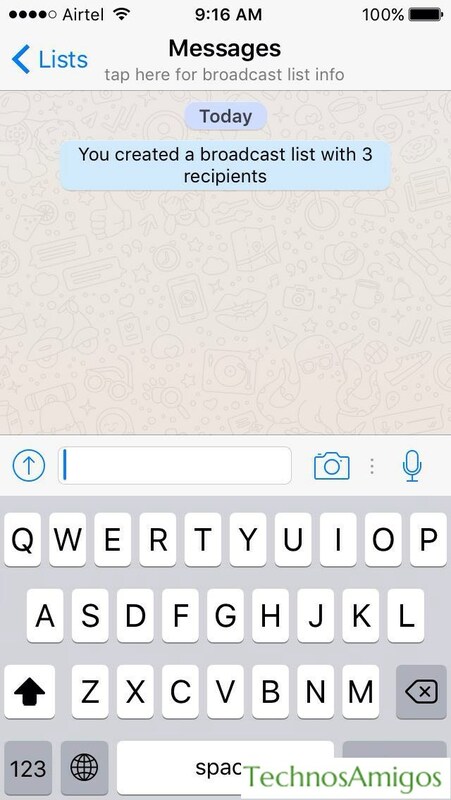 Open the WhatsApp in your iPhone device. Click on the Broadcast Lists button which is placed in the chat option on the top of the screen. 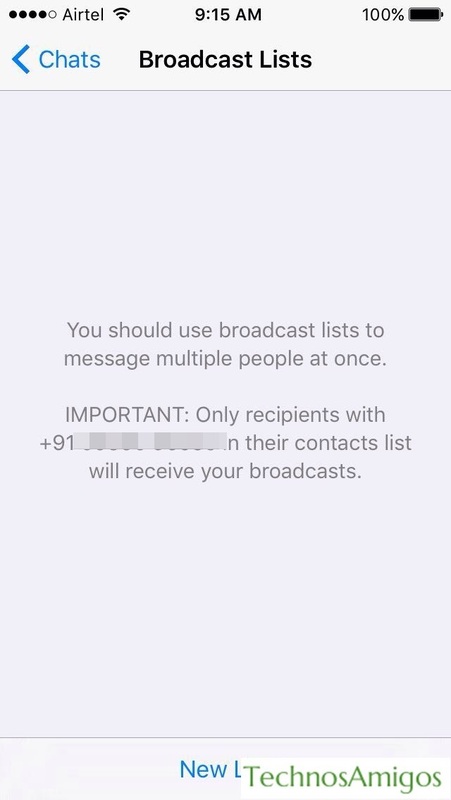 If you like to send new message then tap on the New List in the Broadcast List or you can select the recipients in the contact list. Find the friends in the New List screen and then press the sign + as a recipient in the search option. Click on the Create button for save changes in the list after that you can back in the home screen. 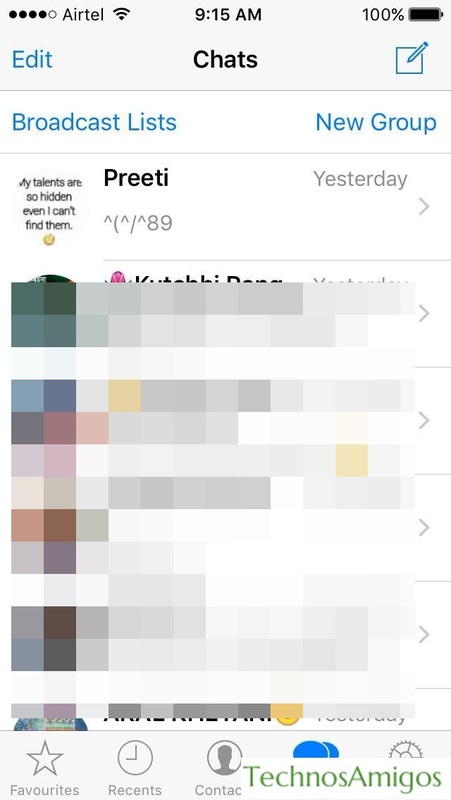 This list is shown in the WhatsApp chat screen. Now type and click on Send. Now the message is send to all of your friends on the Broadcast list. The main advantage of the Broadcast List is to share images, audio, video and text to all other recipients which is added in the Broadcast List. In the recipient chat, reply comes from the particular recipient. 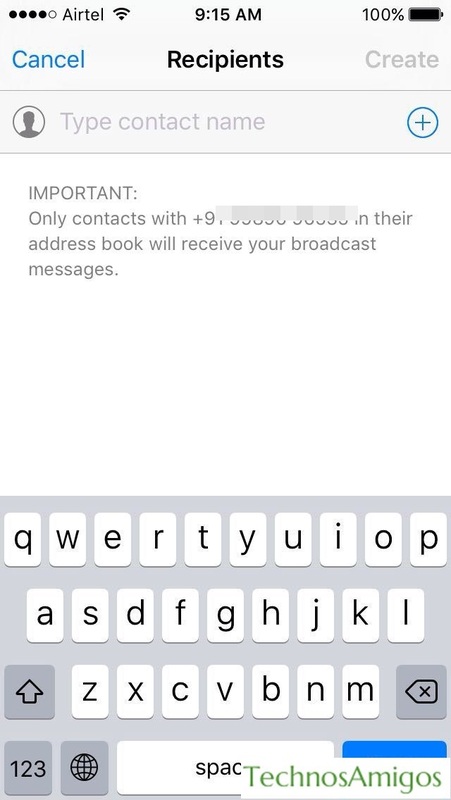 Then, finally you can enjoy the Messaging multiple contacts in the WhatsApp from your iPhone by using Broadcast List option.